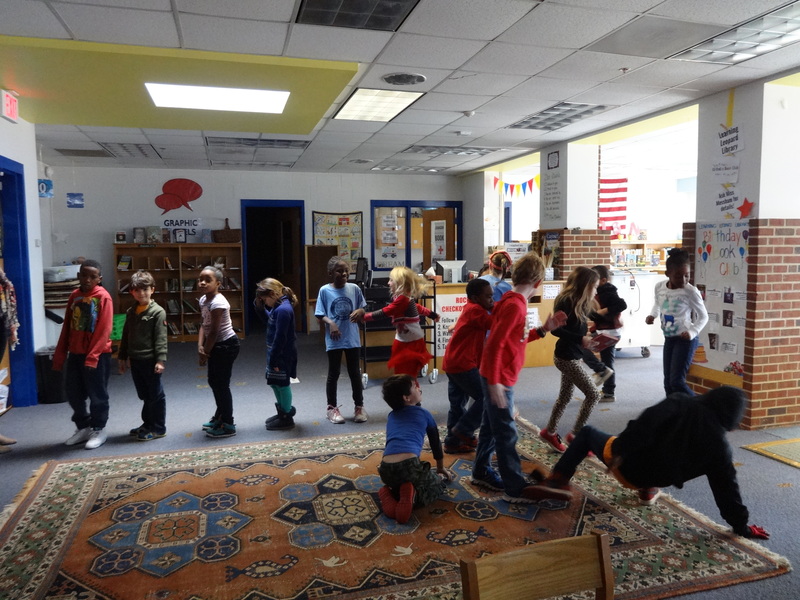 You may not be able to tell from this photo, but second grade is in the middle of a SERIOUS dance party here. Before classes enter for the day, I randomly select my Secret Reader’s name – and don’t tell anyone who it is. 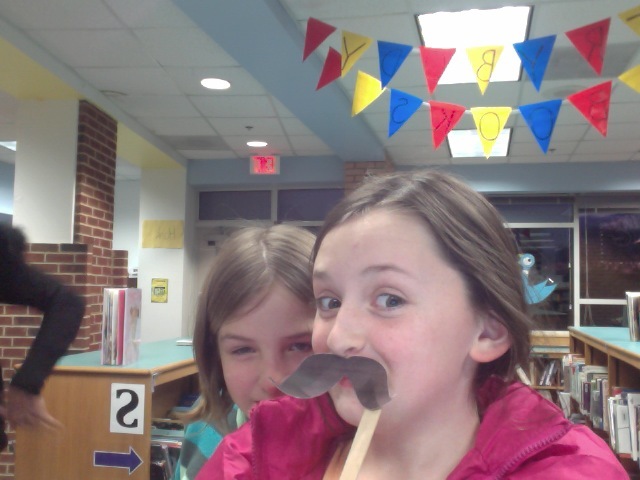 I keep my eye on my secret reader through the class’ library time, and if they do a great job, the class earns a prize! This week, Saadia used her awesome behavior and hard work to earn her class a dance party. What this picture didn’t capture was the break dancing and disco moves that we shared. SOLs are right around the corner, which means that we are kicking our reference tool work into high gear. 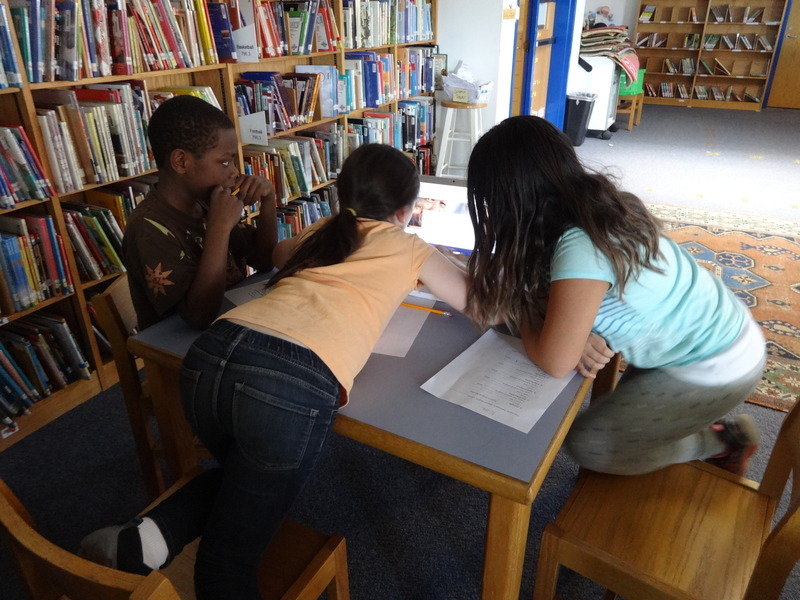 This week third graders had a Must Do, Can Do lesson centered around all things reference. I love using sorts like the ones pictured above because they give students something physical to hold in their hands and move, which is great for learners that don’t get the most from worksheets. 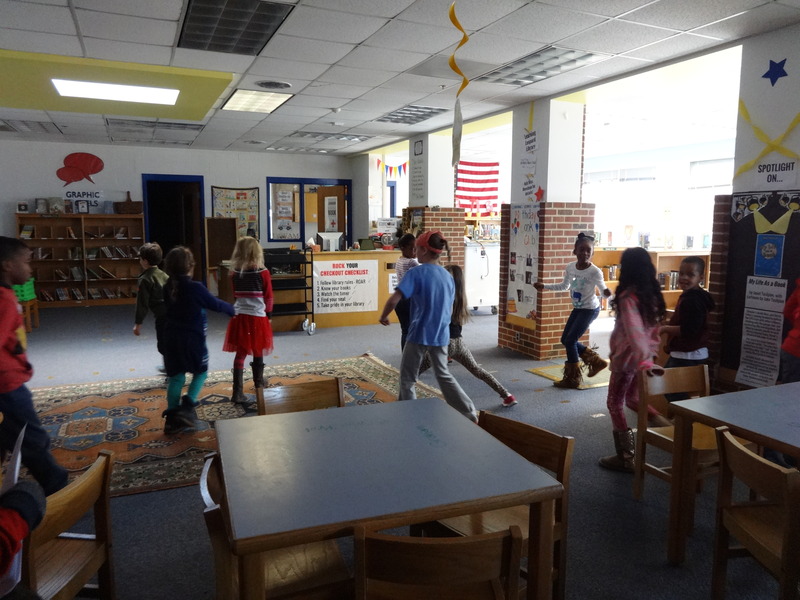 It’s also a great for my movin’ and shakin’ students to get up and move around while they work. 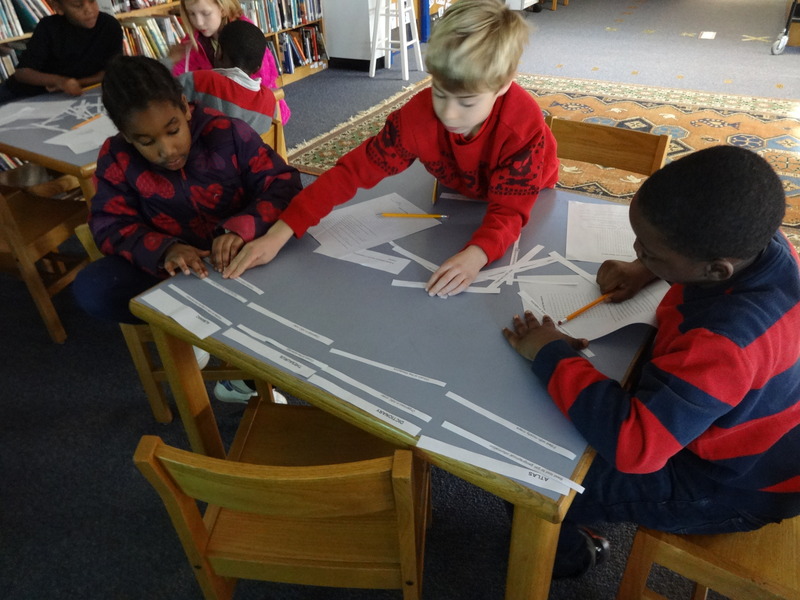 Once they finished their word sorts, third graders had to answer a set of questions and search for their answers in a word search. I might have gone a little TOO challenging with this one… some students were still searching when the bell rang! 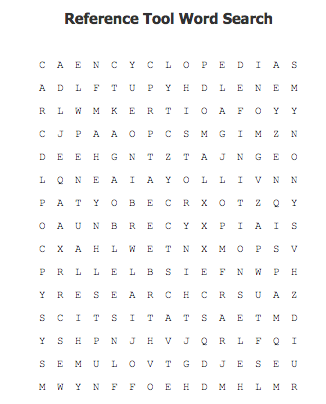 Can you find any reference-themed words in the word search above? 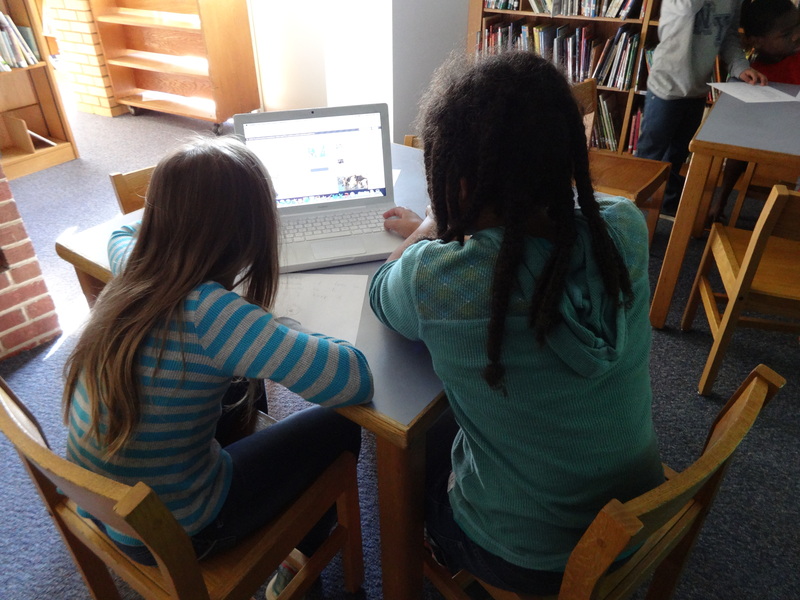 Fourth graders continued their work with the Super 3 and research, continuing on the path to our final research project (which is going to be SO cool). This week, they became search engine testers and reviewers, putting six of the most popular search engines for adults and kids to the test. 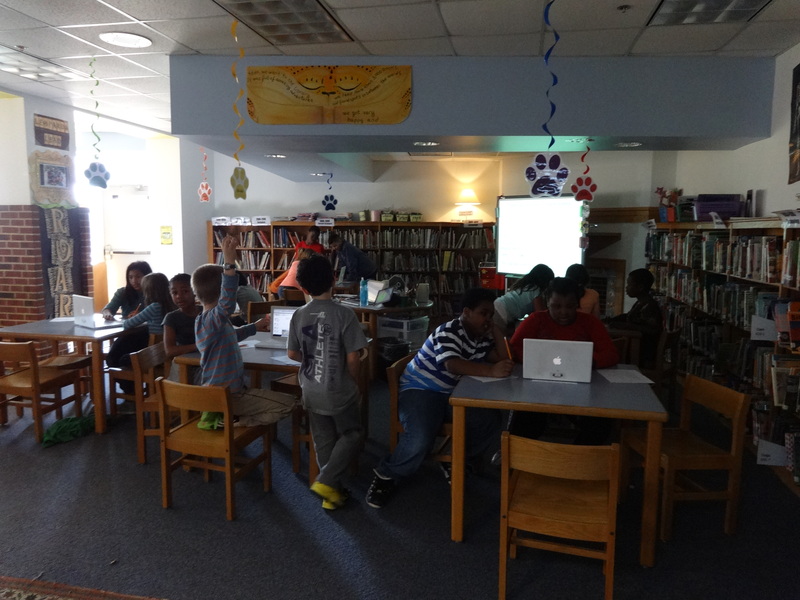 Each group visited six stations and were asked to study the search engines for things that they liked and didn’t like, and then to give the search engine an overall review – one, two, or three stars. 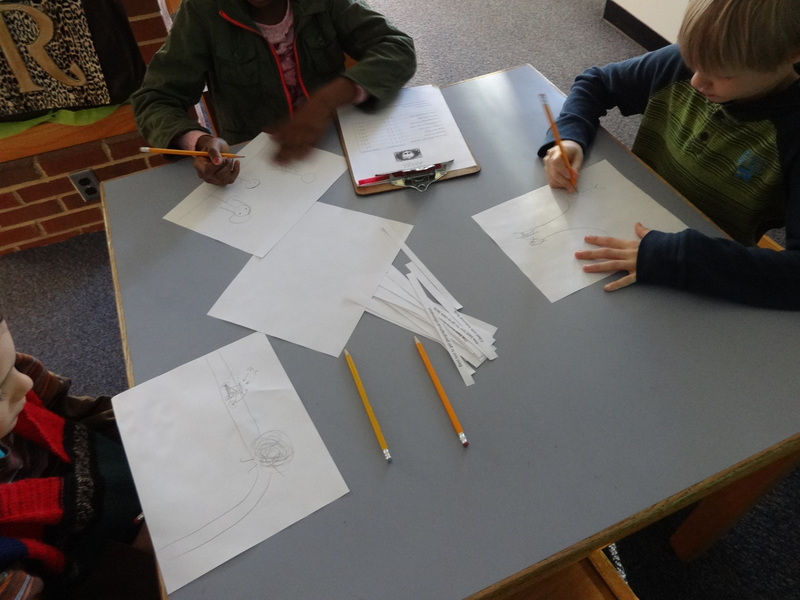 While I knew that our fourth graders would take this responsibility seriously, I was very impressed with some of the notes and observations they made about the differences between the search engines. One student commented that she preferred a particular search engine because it highlighted the search terms so that she could see how many times they appeared in an article; another noticed that her results were mostly from .org websites, so she knew that the information was reliable. Other students judged on criteria like size and placement of advertisements and appropriateness of content. Our overall winner? DuckDuckGo, by a landslide! Students loved that the search engine was easy to use, provided appropriate and easy to read search results, and had its limited number of advertisements clearly marked. Next week, we will go further in-depth working with our favorite search engine. Just another step in the research process! 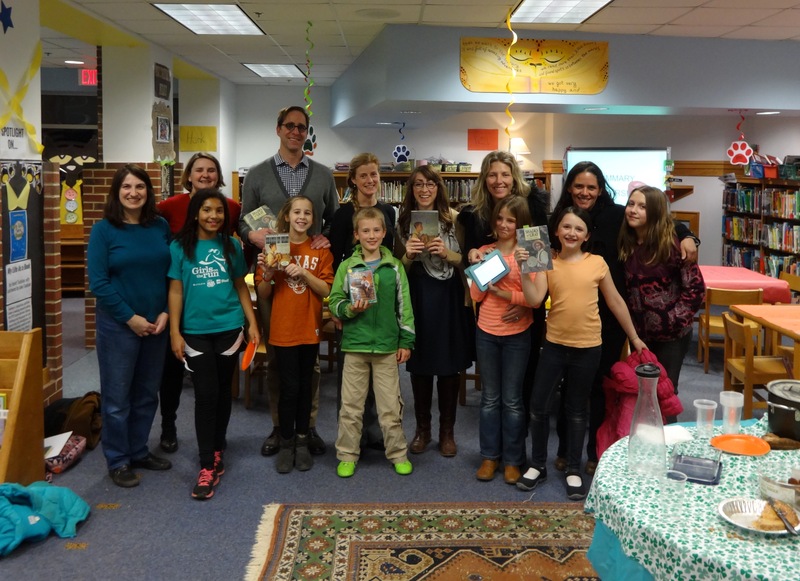 Have you heard about Johnson’s first ever Family Book Club? 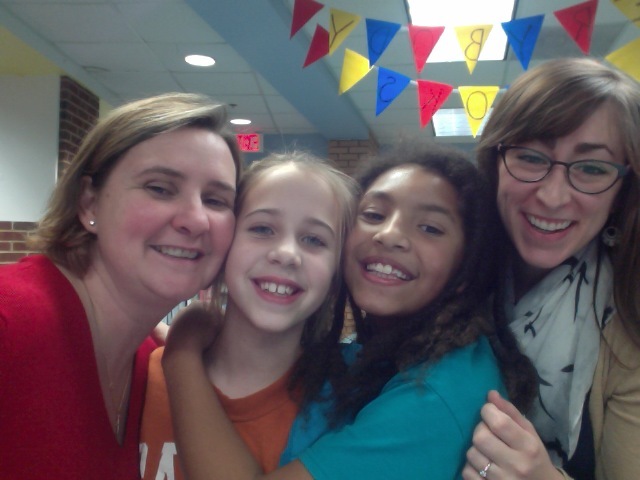 Read all about the story, the snacks, and the selfies on the Family Book Club: Shades of Gray blog post from earlier this week. 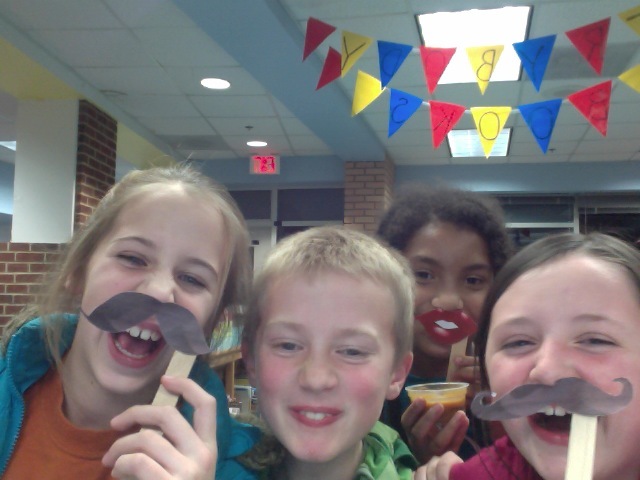 I dare you not to laugh at those mustaches! 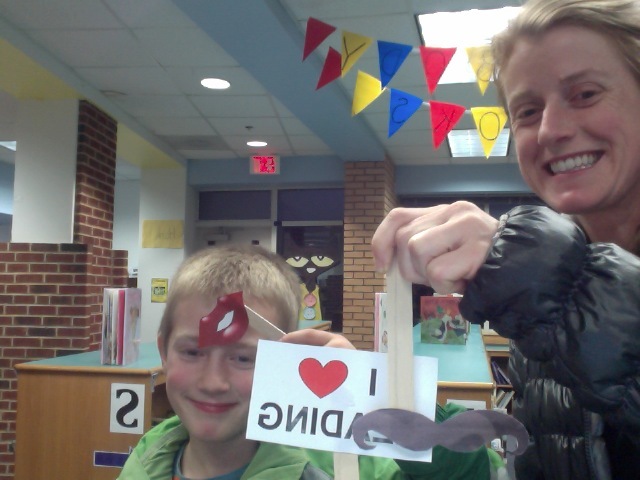 When you’re finished laughing at the Civil War Selfie Booth, skip down to the bottom of the post to find out how you can get involved with a Family Book Club for your child’s class. It’s fun, it’s easy, and it’s a great way to connect! Stay warm this weekend, my friends! 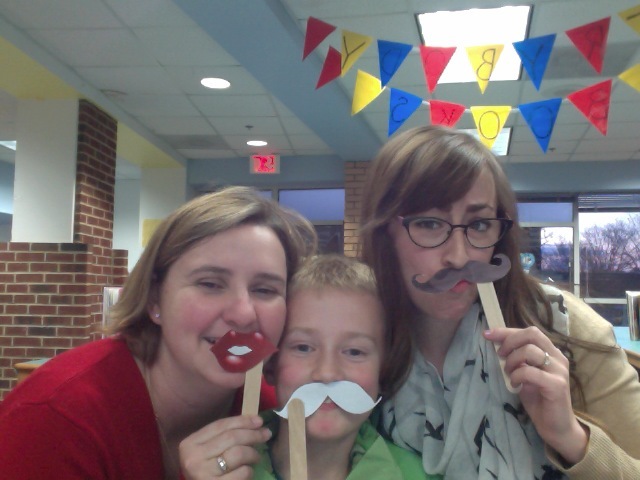 Last night was our first ever Family Book Club, hosted by Mrs. Rickabaugh and me for fourth grade students and their parents! We met from 6-7 PM in the library to share ideas, questions, and thoughts about the book while eating snacks and playing games. 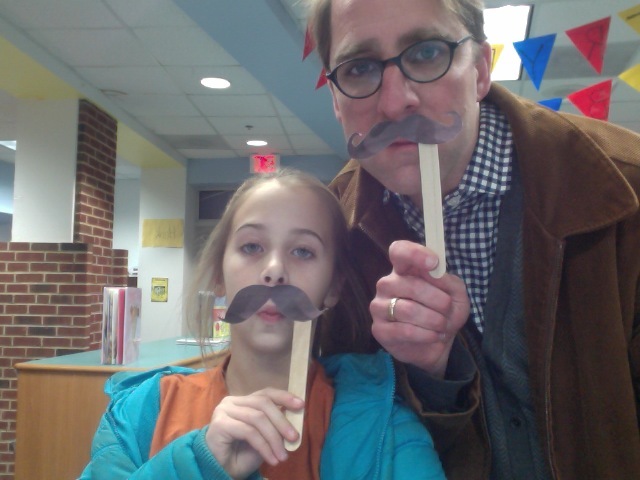 Participants enjoyed door prizes, interactive activities, old-fashioned apple pie and homemade lentils, and even a Civil War Selfie Booth (you have GOT to check out some of those Civil War Selfies – a few are shared at the bottom of this post)! 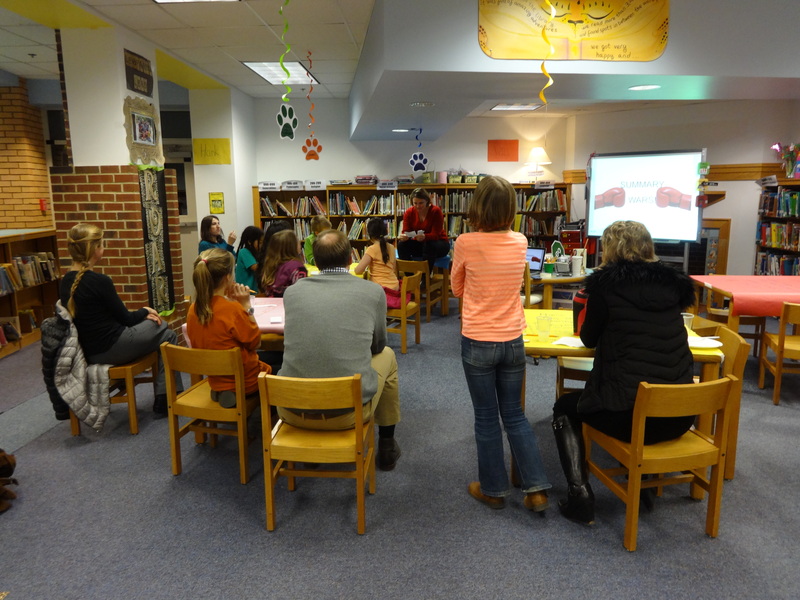 I was so impressed that each parent and student had carefully read the book and came ready to debate and discuss. This was such a great opportunity for Mrs. Rickabaugh and I to spend time with our students and their families, and to take our love and excitement for literacy outside of the classroom. 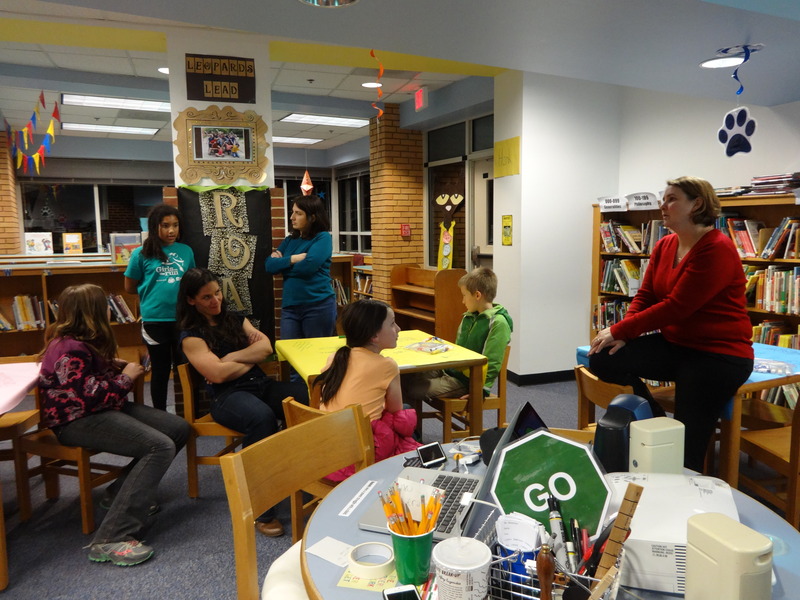 Check out the pictures below to learn more about our inaugural book club and how YOU can get involved in a parent-student book club of your own. Before the night began, guests gathered to snack, chat, and snap some photos in our Civil War Selfie Booth. We opened with an ice breaker that got students and parents moving and thinking – stand next to the character that you most related to. Groups then had to discuss why they chose their character, and explain it to the group. A new take on discussion questions! Each table had a question written on it, and student-family teams had ten minutes to visit each table and write their best answer. To share, each team was asked to share the question that was most meaningful to them. Our discussion questions started some wonderful full-group conversations about plot, character, and things we wish we’d seen in the book. My favorite part was when we discussed the questions that students and parents brought with them. I love hearing about how people experience the same story differently! We finished the night with SUMMARY WARS, a competition that takes place frequently in Mrs. Rickabaugh’s room. 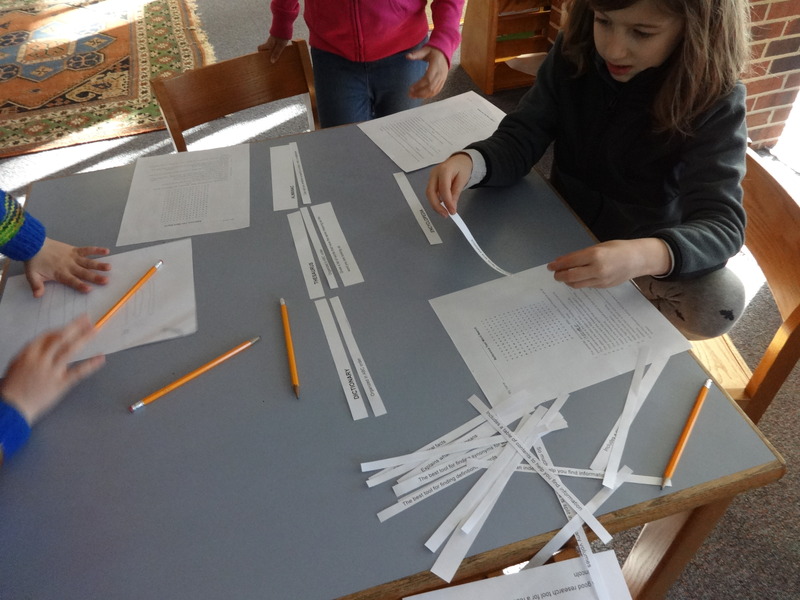 There were no teams on this exercise – each reader was on his/her own! 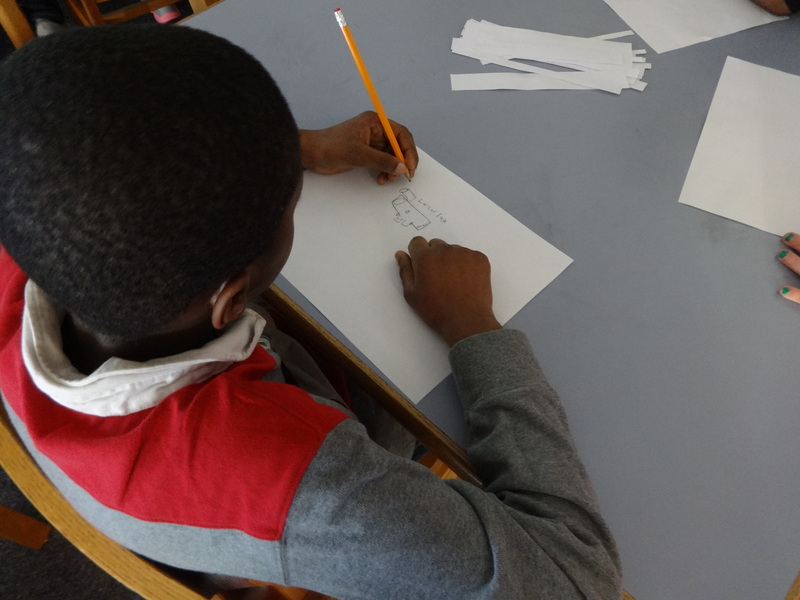 Each reader had five minutes and one piece of paper to write their best summary of Shades of Gray, the whole story! Every character, every plot twist, every detail! For some of our readers and writers, keeping the summary SHORT was the biggest challenge! Mrs. Rickabaugh read each summary out loud, and after a few votes, we realized we just couldn’t pick a winner. They were all too good! The whole group gets together for one last shot. 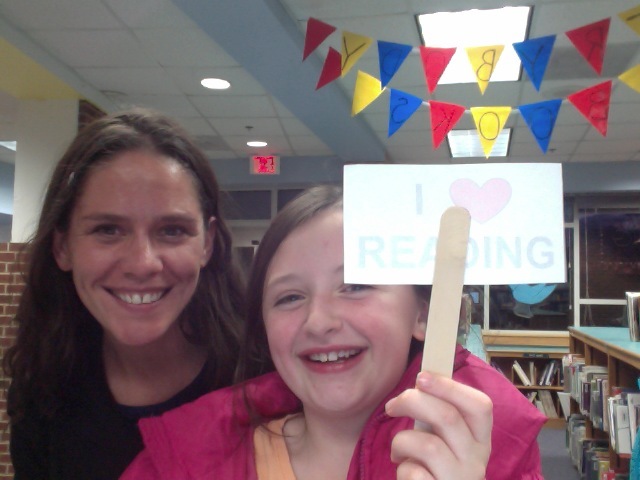 Thank you so much to all of our families and students who came to discuss Shades of Gray with us! 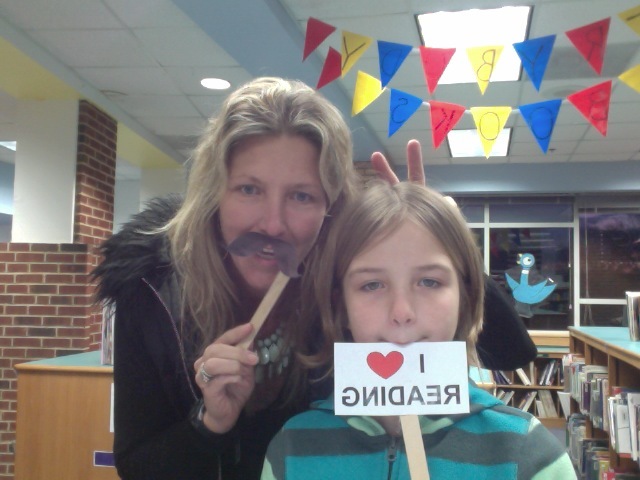 Are you interested in attending a Family Book Club with your student? If you’d like to participate in an event like this one, contact me at messhas1@charlottesvilleschools.org. Let’s work together to make something great! 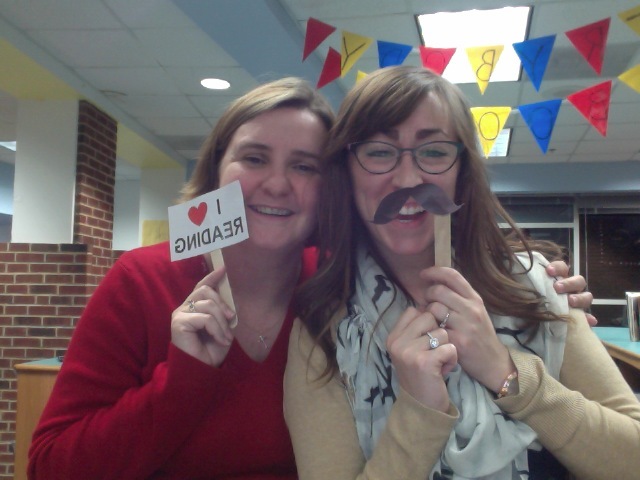 PS: Check out some of my favorite photos from the evening’s Civli War Selfie Booth!